After completing my VGA Generator project a while back, I’ve embarked on a new electronics project: building a simple 6502-based homebrew 8-bit computer on a breadboard. There are a bunch of similar projects online from which to draw ideas. 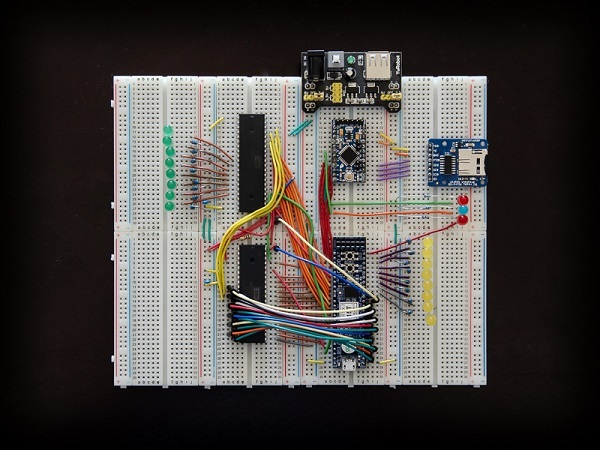 Some projects set constraints such as only using contemporary parts of the 8-bit era, no FPGAs, no microcontrollers etc. In my case, I opted instead to keep the constraints minimal and the project simple. This entry was posted on Tuesday, November 13th, 2018 at 11:50 pm	and is filed under DIY. You can follow any responses to this entry through the RSS 2.0 feed. You can skip to the end and leave a response. Pinging is currently not allowed.